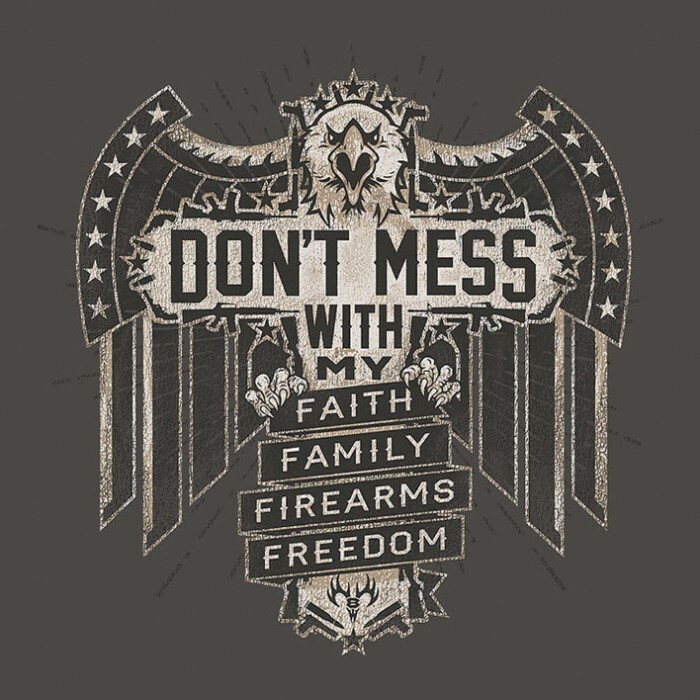 Dont Mess With My Charcoal Range T-Shirt | BUDK.com - Knives & Swords At The Lowest Prices! When you go out to the range, you need to be wearing the right apparel and nothing fits better or is more appropriate then our 4.3 oz., combed, ring-spun 100% cotton jersey tee. 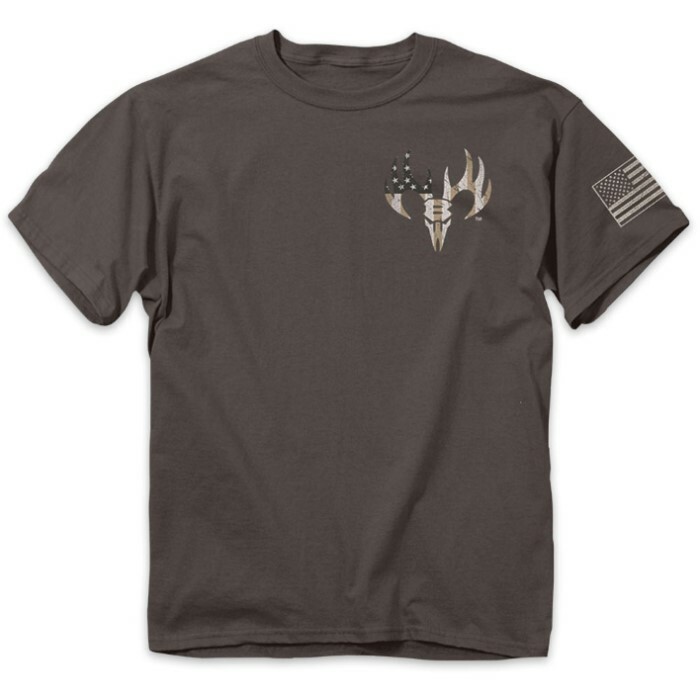 Cut for ultimate comfort and maximum maneuverability, this charcoal T-shirt has a set-in rib collar with shoulder-to-shoulder taping. It also has double-needle sleeve and bottom hems but the best thing about it is the message it advertises, "Don’t Mess with My Faith, Family, Firearms, Freedom". 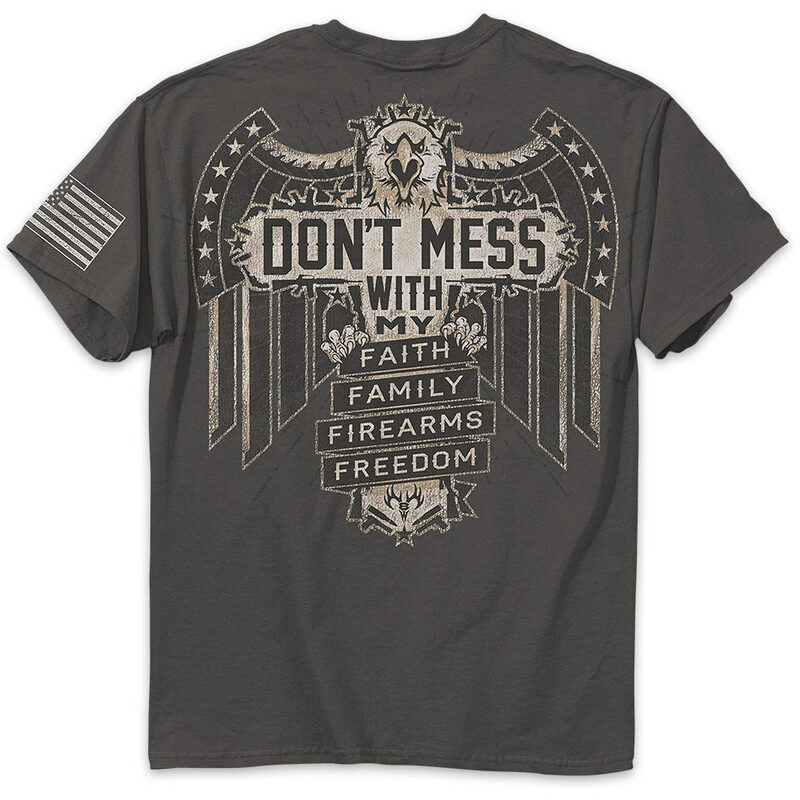 It also has an American Flag print on the left sleeve. The preshrunk shirt’s design is done in a high quality screen printed artwork that will withstand hundreds of washes. It comes in LRG, 1XL and 2XL. I bought two of these tee-shirts as gifts for friends and they were both very pleased with them and so am I.